Ensure your safety harness stays organized and tangle-free for each time you need it with the Summit Harness Storage Pack. 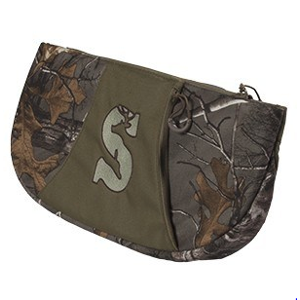 • Tangle-Free Harness Storage - When you store your safety harness in this pouch, you can rest assured it will remain free of tangles and ready for use when your next hunting venture begins. • Functions as a Wearable Pack - This pouch makes it easy to carry your harness on your way into and out of the woods thanks to its innovative design that allows you to wear your harness as a fanny pack. • Convenient Gear Holder - Simply attach the Harness Storage Pouch to the MOLLE-style attachment system on your Summit Pro Series Safety Harness and use it to hold saws, pruners and other gear while you hang stands and climbing steps.